Praying the Scriptures has had a huge impact on my spiritual walk and my relationship with God. I want this for my kids, too! But, it can be tricky to explain to children. In fact, prayer in general is hard to describe to children and adults alike! Talking to someone that isn’t a person in human form that we can’t reach out and touch? Expecting Him to hear? Trusting His Word when all around us finds it foolish? 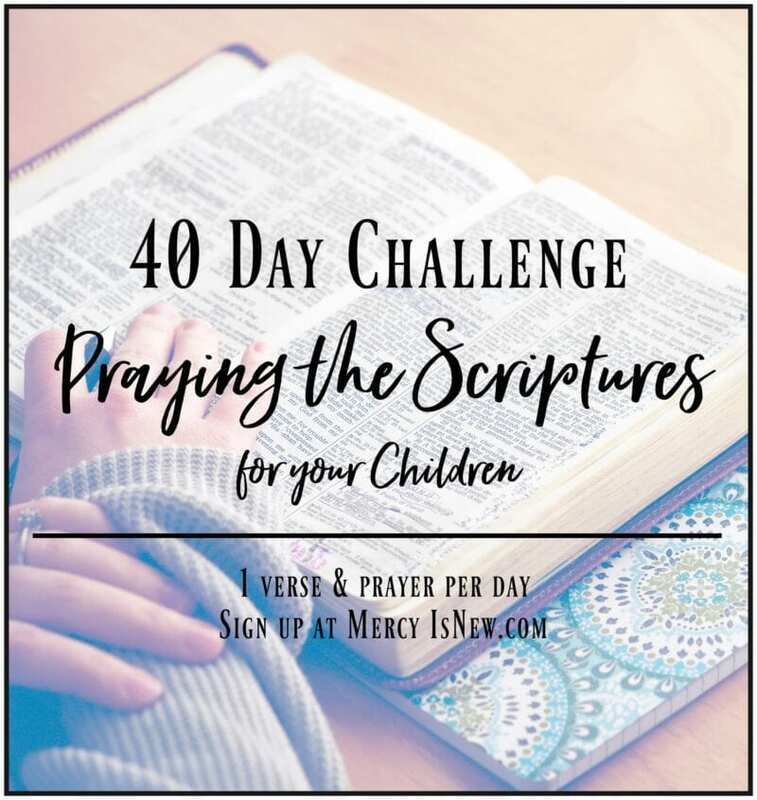 I thought I would share a few tips to inspire you to share this spiritual discipline with your children! First, let’s make sure our children know the importance of God’s Word. Do you read the Bible with your kids? Do your children know the importance of God’s Word in your own life? Do your children see you reading God’s Word? These are just a few checks for your own heart as you begin teaching your children to pray God’s Word. Our children need to know that God’s Word is important before they can realize WHY we would want to pray these words! 1. Choose a well known passage of Scripture for your family. My suggestion is Psalm 23! This is a passage that most of us know, as well as our children. But, even if they don’t know it, that’s ok, they can learn it! 2. Read the passage with your children. 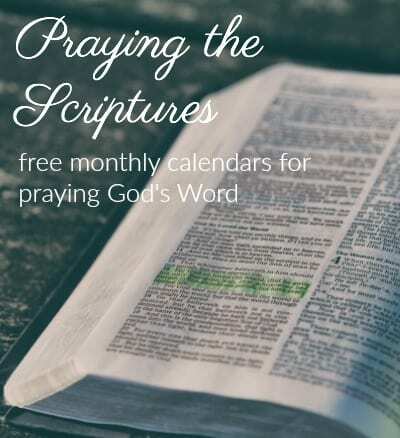 I would suggest choosing a passage to focus on for a week or even a month! Read the passage and discuss it every morning together, or every evening. 3. Discuss what the passage means, if explanation is needed. Are there any words that need to be defined for your children? Any phrases that they need help with? ASK your children to tell you what each phrase means. See if they truly understand what the passage is saying. 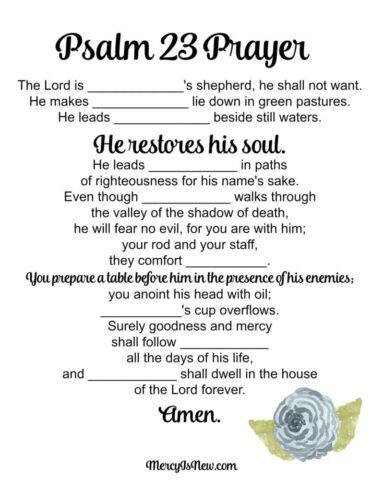 If you’re studying Psalm 23 together, discuss what a shepherd’s role is, what he does day in and day out to care for and lead the sheep. 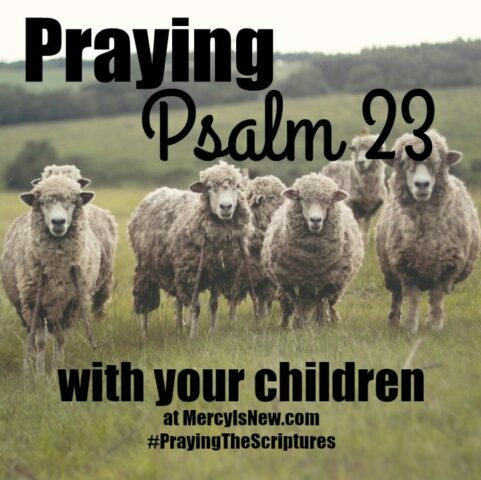 Share how God is our shepherd. 4. Work on memorizing the passage as a family. When I have a passage memorized, it is that much easier to pray! I don’t have to READ to pray, it is engrained in my heart and the words come so easily! 5. Place the child’s name directly into the passage and read it to them. After you place your child’s name in the passage, try placing another name in so your children can learn to intercede for others using God’s Word. 6. Pray the passage with your child. Now, instead of just reading the passage to your child PRAY the passage with your child. Don’t make it harder than it needs to be. 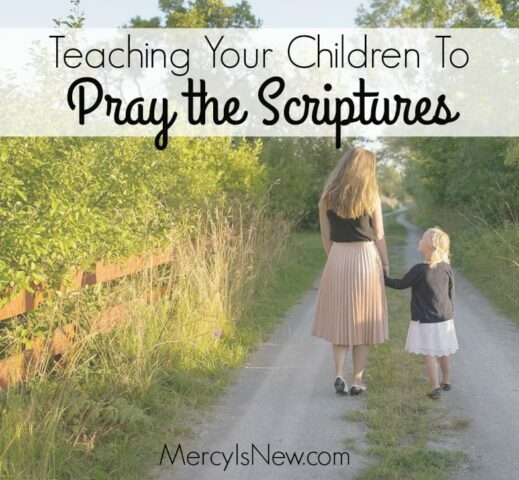 Just simply tell your child “let’s pray…” and go from there! You can read and pray as you need to, you can add in phrases to hep your child understand, you can add in praise and adoration. Make the prayer your own. Most of all, talk to God. 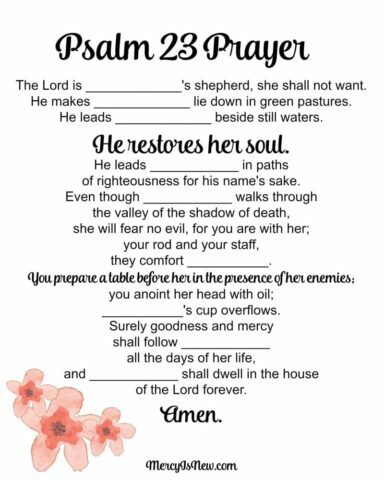 I created this printable so you could place your child’s name directly into the Scripture passage! Feel free to print as many copies as you like. Keep one in your child’s room so they can read it and pray it themselves, too! Click on the PDF link or the graphic to automatically download your page and print! 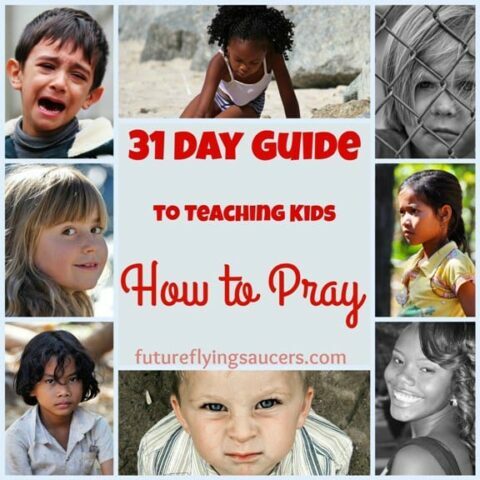 My sweet friend, Anne Marie, over at Future Flying Saucers, has an entire 31 day series on teaching your children to pray! I hope you will check it out, she has some great ideas and words of encouragement for you! 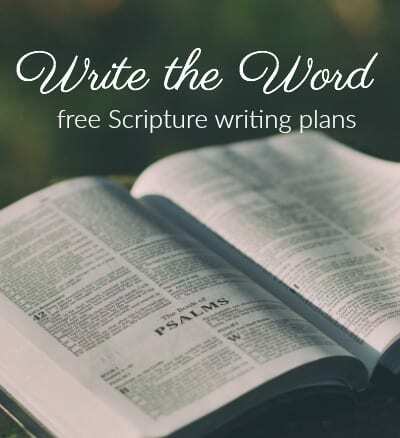 Join me in WRITING the Word and PRAYING the Word through the book of Ephesians!